One of Ireland’s best-known chefs is being honoured by the University of Ulster. 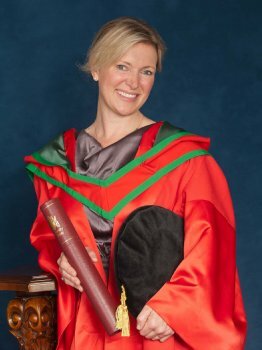 Celebrity TV chef, author, journalist and mother Rachel Allen will receive the honorary Degree of Doctor of Science (DSc) for her contribution to culinary arts. The Dubliner learnt her craft – and met her husband Isaac – at the world-renowned Ballymaloe Cookery School in Cork. Rachel’s popular television series on both RTE and BBC and bestselling cookery books are all based on her basic philosophy that good ingredients simply prepared give great results. She lives in Co. Cork.